Queenslander UFO Researcher Needs Your Help! Giant-Snail On Pluto? WHAT THE F@#*! 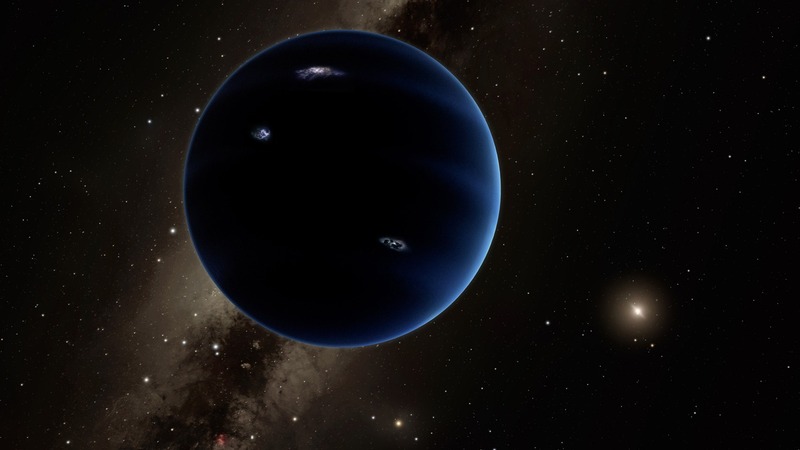 The solar system may host a ninth planet that is about 10 times bigger than Earth and orbiting far beyond Neptune, according to new research. Computer simulations show that the mystery planet, if it exists, would orbit about 20 times farther away from the sun than Earth, said astronomers with the California Institute of Technology in Pasadena. The planet is thought to be gaseous, similar to Uranus and Neptune. However, so far, it has not been observed directly. "It's a pretty substantial chunk of our solar system that's still out there to be found, which is pretty exciting," said astronomer Mike Brown, whose discovery was published in this week's Astronomical Journal. Brown and astronomer Konstantin Batygin, also at Caltech, were initially sceptical that such a large planet would have eluded detection. But they modelled the hypothetical planet's gravitational effects on several known bodies in the region and found a near-perfect match. The computer model also predicted the location of other objects beyond Neptune, in a region known as the Kuiper Belt, and those were found in archived surveys as well. At that point, "my jaw sort of hit the floor," Brown said in a statement. Brown's earlier research helped to demote Pluto in 2006 as the solar system's ninth planet after other small, icy bodies were found beyond Neptune. "All those people who are mad that Pluto is no longer a planet can be thrilled to know that there is a real planet out there still to be found," Brown said.